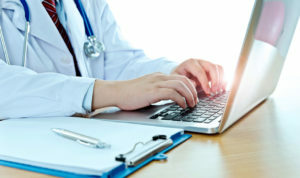 It’s more important now than ever for medical practices and other healthcare organizations to be ranked highly in search engines results, that are returned to users who are looking for medical services. 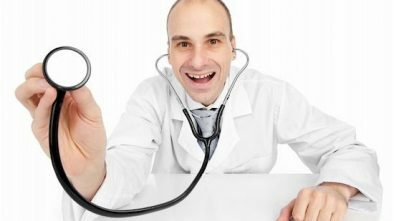 In years past, the popularity of any given medical practice depended largely on word-of-mouth reputation, or just on easiest access for the local population. These days, people have a great many more choices for obtaining medical care, and just like everything else people search for online, they look for medical services which are in line with their needs and desires. As the owner of your own medical practice, you might think that you have a highly optimized website because you paid a web designer to implement best practices for your site. But there are a few more factors involved with medical service rankings than there are with many other types of businesses. Here are a few of the most common mistakes which owners of medical practices make regarding search engines, and the rankings which are so critical for attracting website visitors. The whole idea in establishing search rankings revolves around search engine trying to determine exactly what potential patients are looking for. There are lots of tools you can use to identify the most popularly used keywords, but many medical professionals fall into the trap of inserting themselves into the position of the target audience. When you’re preparing content which you expect to post to your website that will get it better rankings, you probably tend to write as a medical professional, and not from the viewpoint of what a patient would be looking for. As an example, you might write website copy that prominently features the keyword ‘orthopedic surgeon’, but that’s not really what users would be searching for in most cases. Someone who is bothered by back pain is far more likely to search on the keyword ‘back pain’ than on ‘orthopedic surgeon’. This underscores the importance of finding out which kinds of keywords users are actually entering into their computers to search for services, and those are the keywords you should be using as well. Google changes its search algorithms at least every year, and sometimes more frequently than that because it’s always trying to provide users with the most appropriate solutions to what they’re really searching for. While that is certainly the optimal approach for users, it can make life difficult for someone who’s trying to keep their website optimized for search rankings. That makes it necessary for you to be aware of all elements of your website’s performance, including loading speed, links which may be broken, or any graphics which are improperly represented. It’s definitely worth your while to test out all the elements of your website to make sure that a satisfactory experience is being presented to users. If it takes too long for content to be loaded onto your web pages, that will more than likely cause most users to abandon your site, and move on to a competitor’s website. You’re probably aware that graphics and text are not represented the same way on desktop computers as they are on mobile devices. What you may not be aware of is that the majority of Internet searches are now conducted on those mobile devices, and that makes it extremely important that your website is displayed optimally on a small screen. When users have to scroll up, down, or sideways just to read the content on your website, you will almost certainly lose them as a potential customer. It’s worth your while to hire a web design company to make sure that you have a responsive website appearance that is just as clear and digestible on small screens as it would be on a large desktop version. In addition to the practical side of this, you should also be aware that Google has given priority to mobile website presentations, in deference to the fact that they are now the dominant form of Internet searches. Doctors often misunderstand how search engines are used and make the mistake of identifying themselves as the target audience. While organic searches can definitely be advantageous for your medical practice, they probably won’t deliver the kinds of numbers you really want to your website. To really get a high volume of visitors at your medical website, you should consider using paid searches, because they automatically place your medical practice among the first listings on a search engine results page. This, in fact, takes all the guesswork out of trying to optimize your website for search engines to get the best rankings, because you know ahead of time you will be getting an optimal ranking since you paid for it. Amid all the other facets of relevance to a search engine, you should not overlook the high quality of any content that you post on your website, because this is in fact, another of the key factors being evaluated by search engines. All the major search engines evaluate your content in terms of its sentence structure, sentence length, and overall readability. Search engines have also grown sophisticated enough to detect keyword stuffing, and if your content is guilty of that practice, you can expect your ranking to be degraded because of it. Another upgrade to the sophistication of today’s search engines is that they are able to detect information of real value to the user, especially when that information has been shared frequently with others. When search engines recognize that your content has value to other searchers, it is very likely to be ranked more highly, and that will hopefully cause your medical practice to be listed within the first few result lines. Previous: Mobile Technology: Can it Improve Healthcare?